NOTE: This review is spoiler free for the story. There are some super hero origin stories that simply don’t need retelling because even those who are not invested in the least know them: we know that Superman flew here from Krypton and is its last survivor; Spider-Man was bitten by a radioactive spider and Batman’s parents were murdered in front of his eyes when he was a kid. The start of the sophomore episode of Batman: The Telltale Series once again reminds us that Thomas and Martha Wayne were shot by a mugger named Joe Chill. Unlike a lot of other interpretations of this story, such the one not mere months ago in the title credits of Batman V. Superman: Dawn of Justice, Telltale takes what we more or less take for granted and does something that at first can seem almost disrespectful to the history of Batman, but instead makes it the focal point of one of many compelling mysteries in the latest chapter of their still young, but excellent series. Not since the first season of The Walking Dead have I been more excited to see what happens next with a Telltale game than I have been with Batman: The Telltale Series. A lot of criticism was placed on the first episode about their being far too much set up, which frankly didn’t bother me that much at all, and if you thought that, prepare to fall very much in love with Children of Arkham. Coming straight out of the revelation at the conclusion of Realm of Shadows, Bruce Wayne finds himself dealing with the mystery of his past, as well as one in the present, mainly who is pulling the strings in Gotham’s underworld. The greatest strength of Batman: The Telltale Series that helps differentiate it from other games starring the character is the continued focus on Batman’s detective skills. Games in the Arkham series dabbled with playing as a detective, but really it was just following bread crumbs or scrubbing through footage until you got to the next stealth section or fist fight. Even though this is a Telltale game and a lot of input is taken out of the players hands, you still feel like you’re an intrepid detective straight out of some of your favourite TV shows or movies, which is something I wanted to feel in their The Wolf Among Us series but didn’t ever, really. That’s not to say that the action is not on point either. Starting with this year’s The Walking Dead: Michonne mini-series, Telltale has really stepped up their game when it comes to choreography. There are segments in Children of Arkham where you play as both Bruce Wayne and Batman in awesome set pieces where even though I was just hitting a button or two at the same time, I still very much felt every hit in the same way I did in Rocksteady’s games and was dazzled by what I was seeing on screen. 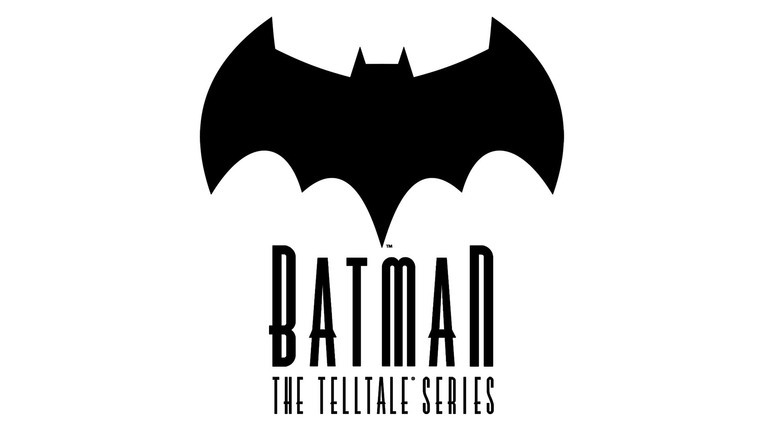 In early interviews for Batman: The Telltale Series, it was stated by the developer that there would be instances where you would be given the choice to handle a situation as either Bruce Wayne or his alter-ego, and that makes its debut here. Ask me at various points in my life if I was given the choice to be Bruce Wayne or Batman which would I pick, and I would pick Batman with out skipping a heart beat, but here I really sat long and hard and thought about how exactly I wanted to tackle this particular problem. I’ve been having some problems with my wi-fi not connecting to my PlayStation 4 so at the conclusion of the chapter, I couldn’t see how my choices stacked up to everyone else’s, and for the first time ever, I was really sad about that. Choices are something that are also handled with a lot of weight here and it will probably make Batman: The Telltale Series the first Telltale game I will play again to see how things play out if I go one way or the other. When playing as Lee or Clementine in The Walking Dead or Bigby in The Wolf Among Us, I also played things how I would in real life, which is to say the voice of reason that tries to let cool heads prevail and helps whenever I can. The thing about Children of Arkham and even Realm of Shadows, is that those choices are never very clear and I love this series for that. Silence has always been an option as opposed to talking, and I never exercised it at all until here when I flat-out refused to talk to someone. Several villain characters were established in Realm of Shadows, and the way one is developed in Children of Arkham and hopefully going further has been a big surprise to me. I’ve never been a huge fan of this villain in the past, but I love how Telltale has taken him and turned him into an anti-Batman. We’ve seen characters who have taken inspiration from Batman and gone too far down the dark side, which too is the case here, but the way the character develops from a similar upbringing and trauma will make for some compelling developments going further. With every Telltale series lately, I say to myself “I’m going to wait until it’s done” and I both wish I did and at the same time glad I didn’t for Batman: The Telltale Series. I wish I had the patience to wait until the whole series was done and just marathon it from start to finish, but given how good both the premiere was and how Children of Arkham is even better than that, there’s no way I could have waited that long. Batman fans, and even those who have sworn off of Telltale games, need to start playing this series anyway they can.